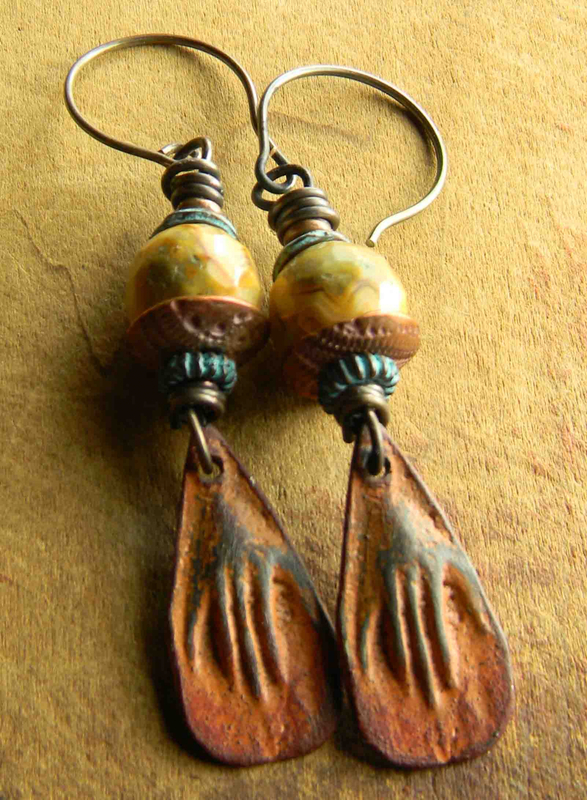 Natural agate earrings with faceted stones of crazy lace agate, over artisan rust patina hand charms, to form a boho tribal earring design. 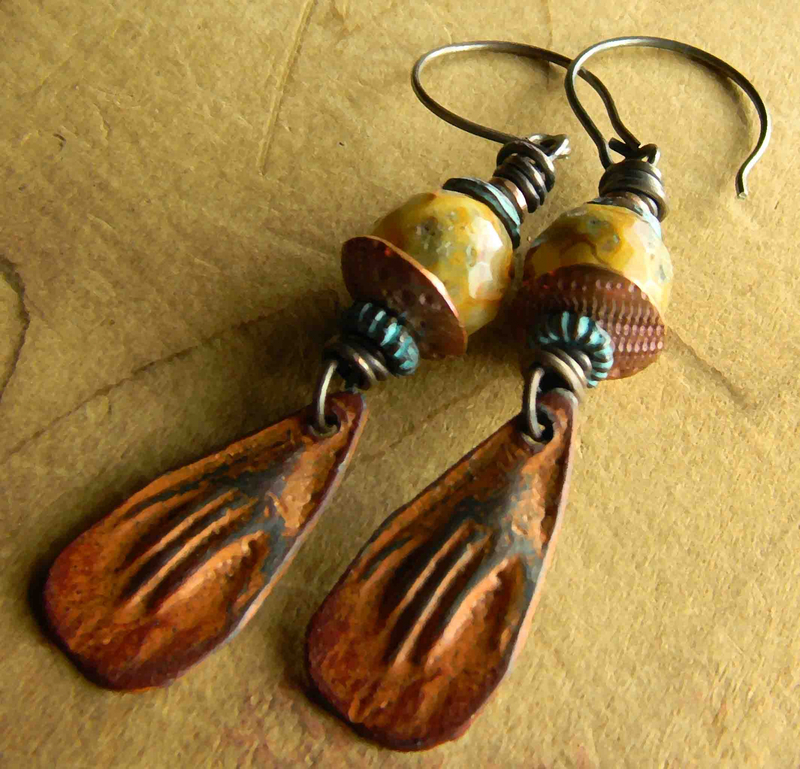 Artisan copper metal clay bead caps, verdigris patinated spiral Mykonos caps and spacers, antiqued bronze rounded ear wires are the little touches that make the finished design distinctive. Total length of these earrings is 2.5 inches. 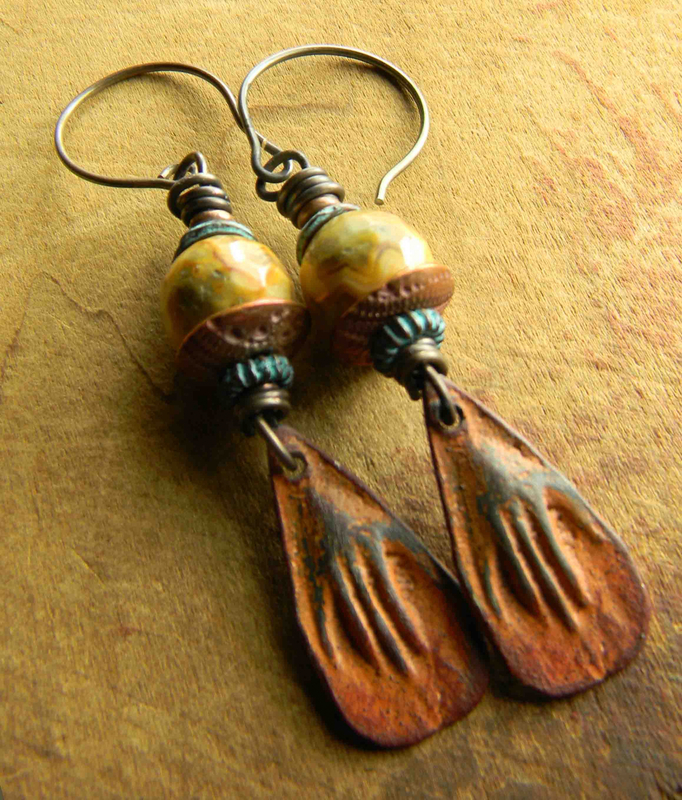 Artisan hand charms from Inviciti Jewelry. Artisan copper metal clay bead caps from Kristi Bowman Designs.